Versatile Swedish pianist Anders Kilström is one of the most sought after Swedish pianists and he has performed as a soloist and as a chamber musician all over Europe, Asia, North America, Australia, New Zeeland and former Sovjet union. He has worked together with conductors such as Alan Gilbert, Neeme Järvi, Franz Welser Möst, Hans Graf and Heinz Wallberg. He is regularly collaborating with leading instrumentalists and singers. Mr Kilström is also a member of the Swedish contemporary music group KammarensembleN since 1989. In 2008 he played the world premiere performance of Saed Haddadd concerto for piano and ensemble as well as John Cages Concerto for prepared piano. He has also played Luca Francesconis piano concerto “Islands” in contemporary music festivals in Warsaw, Hongkong, Vilnius and Stockholm. Mr Kilström has toured with the welsh baritone Bryn Terfel in Asia, Australia and New Zealand, in France and Canada with mezzo soprano Barbara Hendricks as well as all over Europe and in New York with Swedish violinist Christian Svarfvar. He has also appeared as soloist with The Royal Stockholm Philharmonic Orchestra, the Gothenburg Symphony Orchestra, Helsingborg Symphony Orchestra, Staatskapelle Weimar in Germany, Iceland Philharmonic Orchestra, Sofia Philharmonic Orchestra, and several others. 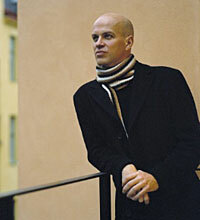 Anders Kilström has recorded on the labels Caprice, Daphne, Nytorp Musik and Musica Sveciae. His Stockholm debut came in 1986 playing Beethoven 5th piano concerto with the Swedish Radio Symphony Orchestra. 1988 he was chosen to represent Sweden at the Nordic soloist Biennale in Reykjavik. Anders Kilström studied at the Royal College of Music in Stockholm with professor Gunnar Hallhagen. Later he also studied with György Sebök, Tatiana Nikolaieva and Colette Zerah. 1988 he spent at the Banff Centre of Fine Arts in Canada. Mr Kilström is now intergrating his performing life with being professor of piano at the Royal College of Music in Stockholm and at Mälardalen University in Västerås.